Master Key Consulting (Master Key), with its trusted partner Ripple Effect Communications Inc. (Ripple Effect) is excited to announce the recent award of a contract with the National Institutes for Health (NIH), Office of Extramural Research (OER) to provide Professional, Technical and Administrative Support for the Immediate Office of the Director (IMOD) and their six offices: Office of Laboratory Animal Welfare (OLAW); Office of Policy for Extramural Research Administration (OPERA); Office of Extramural Programs (OEP); Office of Research Information Systems (ORIS); Office of Administrative Operations (OAO); and the Office of Planning and Communications (OPAC). NIH has contracted Master Key to deliver Program Support, Executive Administrative Support, Data Analysis Support, Communications and Outreach Support and Program Evaluation and Analysis. OER supports extramural research by providing policy and guidance to the 24 NIH Institutes and Centers that award grants. OER serves as a vital interface for the biomedical research community by guiding investigators through the process of attaining grants funding and helping them understand and navigate through federal policies and procedures. OER’s mission is to provide the corporate framework for NIH research administration, ensuring scientific integrity, public accountability, and effective stewardship of the NIH extramural research portfolio. As part of this contract, Master Key will support OER efforts to continuously seek to analyze the effectiveness of NIH extramural grant areas, measure performance of the NIH Institute’s and Center’s, existing grantees and to enhance the grants making process. This is the second time Master Key has re-competed for this work as a prime contractor and this award speaks to the unwavering quality of service and trusted partnership we foster with our clients and staff. We consistently provide highly qualified experienced staff with extensive pertinent experience in serving the NIH mission. 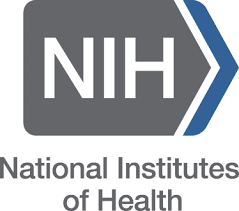 Master Key is proud to be working with the NIH and will seek to continue to service NIH as a trusted business partner.